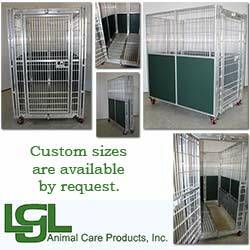 LGL's research caging for cats and dogs consists of collapsible kennels, cat housing systems and condos, small animal transports, and stacked dog housing for research purposes. 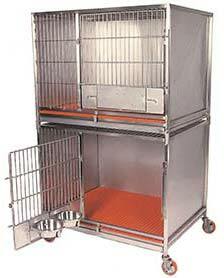 We use the highest grade materials possible to build research housing, cages, and condos for dogs and cats. 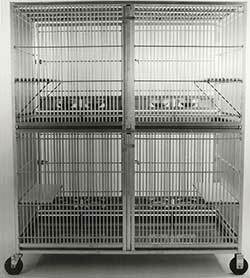 A top priority at LGL Animal Care Products is to build the highest quality caging for research animals. 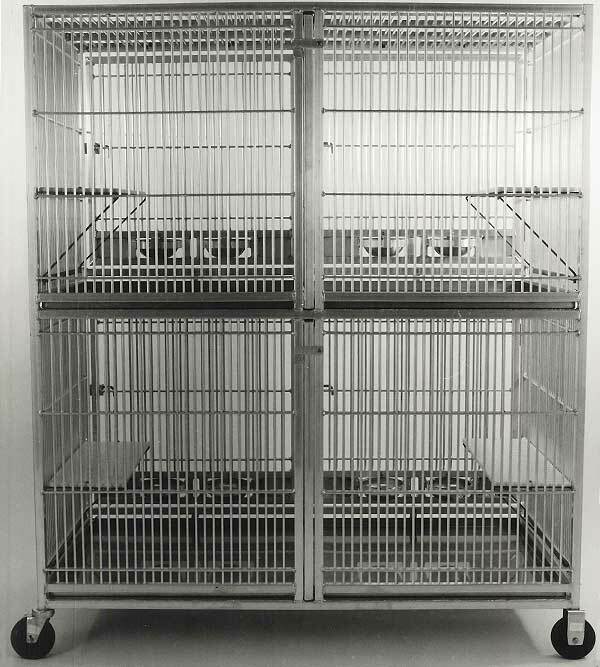 Our cages are designed with the well-being of the animal in mind, and we are careful to ensure that there is room for each animal to move freely or turn around in the cage. 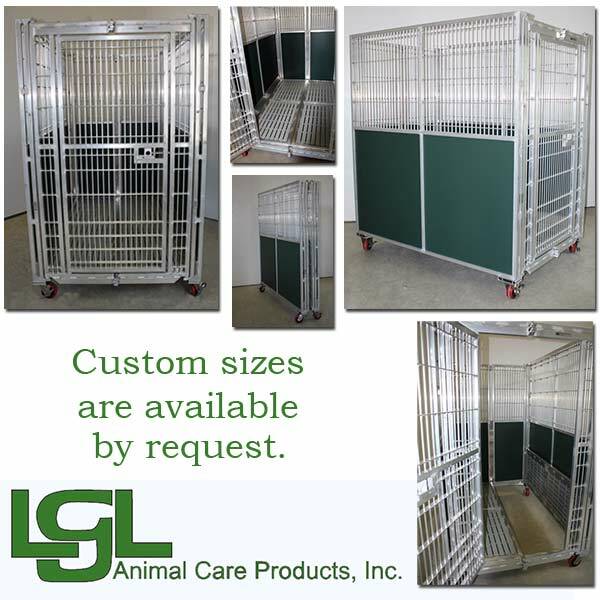 LGL Animal Care Products cages provide motor and sensory stimulation through physical exercise because they are built specifically for each species. 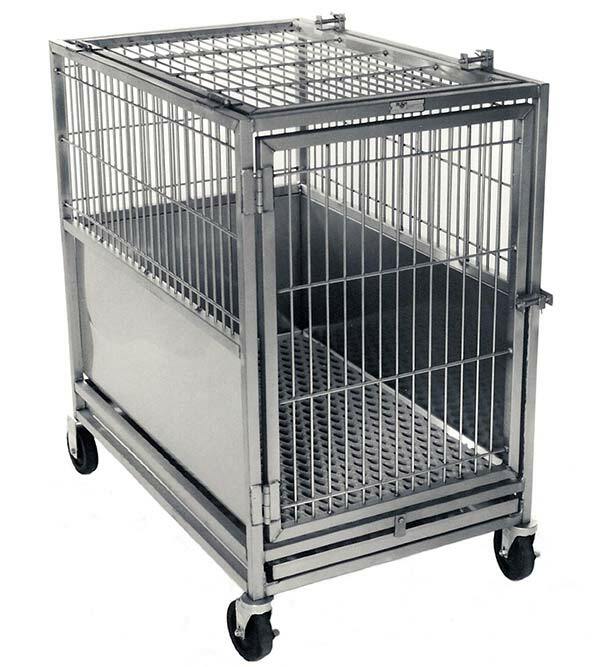 Note: By collapsing the sides of the cage, transporting the unit from one location to another can be accomplished with little effort. 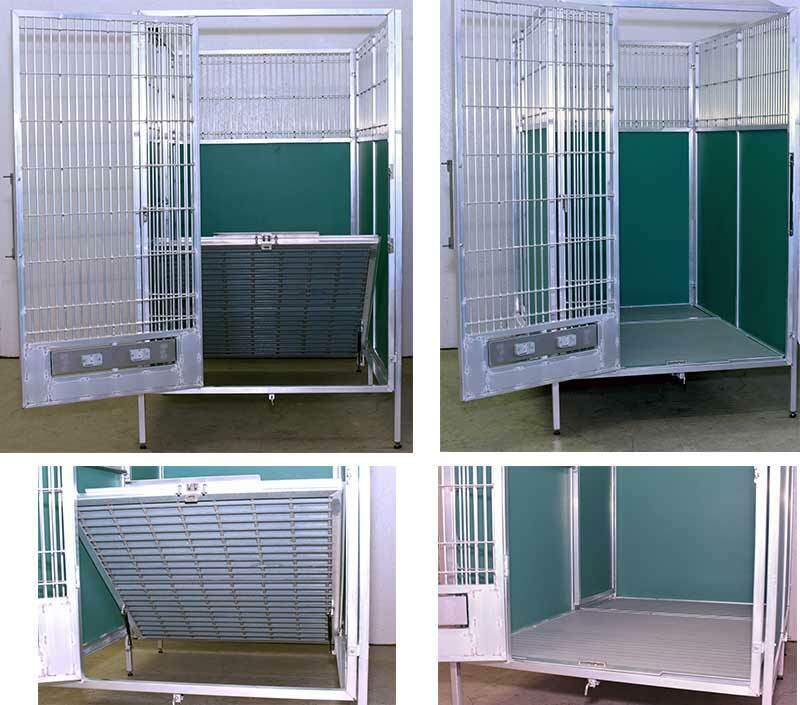 Kennels can either sit on facility floor by means of a vinyl seal that eliminates cross contamination, or the runs can incorporate a raised floor system (as pictured). Raised flooring can be either vinyl dipped, expanded metal, aluminum, slatted fiberglass, or high density poly flooring (as pictured). One section of flooring is solid to provide a solid resting area for the animal. 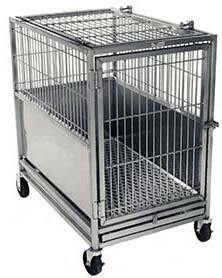 Side panels can include total isolation or rod partitions. The side panels pictured here have a rod section for socialization. The same rod panel is a built-in swing gate to allow two runs to be opened side by side. 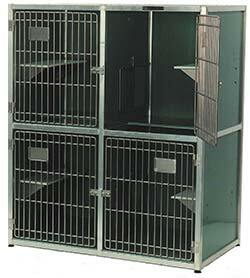 Floors tilt up and lock so folding the kennel can be set up or taken down by one person. 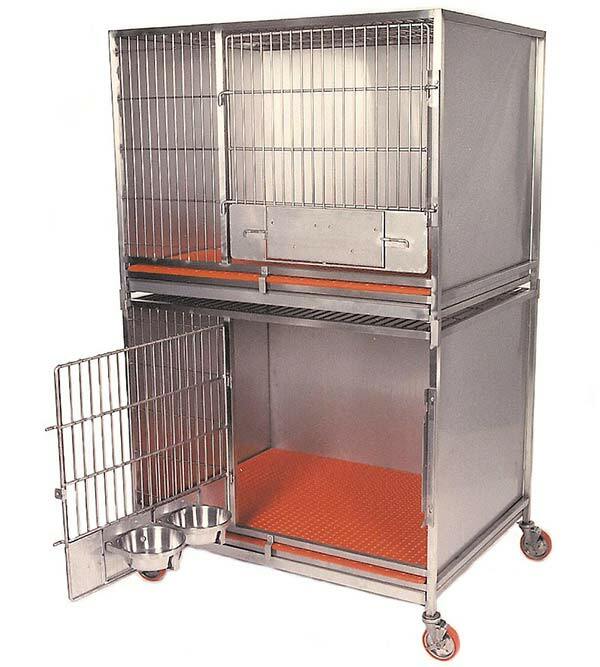 The Tilt Floor Kennel can be ordered in aluminum or stainless steel construction.